DEL MAR, Calif., March 31, 2011 — The San Dieguito Wetlands Restoration Project will host the first Family Nature Days event and give San Diego families a place to discover nature close to home on Saturday, April 2. 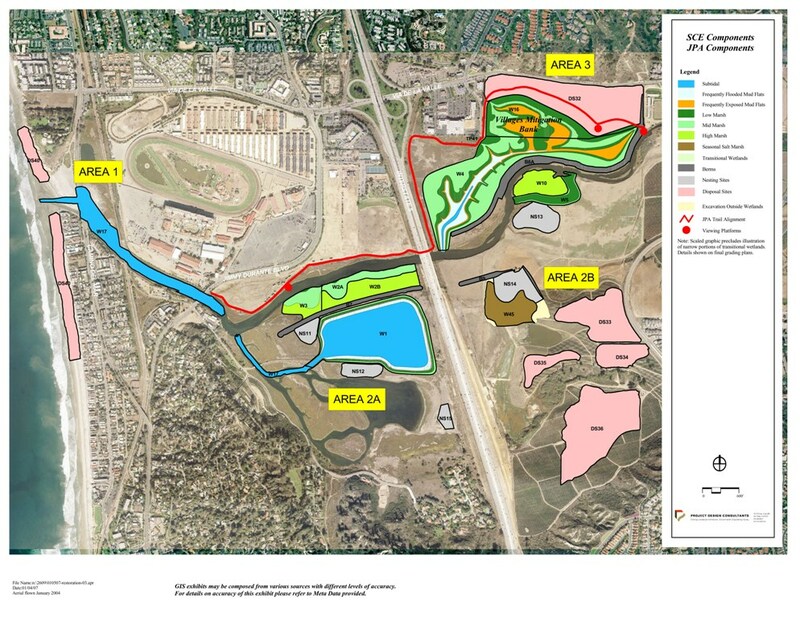 Hundreds of children will learn about the new nature preserve in a playful event planned outdoors on the newly restored wetlands trail located at the base of San Andres Drive on the east side of Interstate 5 from 9 a.m. to noon. The event is sponsored by San Diego Gas & Electric (SDG&E) who along with Southern California Edison, is one of the restoration team members at the newly restored lagoon ecosystem. The San Diego Children and Nature Collaborative (SDCaN) has worked with SDG&E to plan this family-centered event meant to engage children directly with nature – seeing, listening and feeling – using interactive events to excite and entice their young senses. Exploration and discovery activities will encourage children to observe and discover the wonders of nature offered by the abundance of fish, birds and other animals found at the site. Observation and knowledge activities will help children quickly learn to use maps, field guides, magnifying glasses and binoculars to get to know the names of local wildlife and plants. Fun with Fish – Observe White Sea Bass fish eggs and color their own paper fish, and “release” it back into a virtual lagoon ecosystem. A Bug’s Life – Identify the unique characteristics of insects and make a insect craft. Bird Bites – Experience how a bird uses its beak to search for and catch food using chop sticks, tongs and other instruments. Naturalist Guidebook – Create and personalize your own nature guidebook, then hit the trail to search for the plants and animals from your guidebook at the lagoon. Make a Seed Ball – Get dirty rolling mud and seeds together to make your own native seed ball. Then, toss your seed ball on the ground in your own backyard to populate it with native plants! Sea-Dahlia Planting – Learn how this amazing, native bluff plant with beautiful yellow flowers thrives on our coast, then plant and take one home. “SDG&E is proud to be involved with such a great network of environmental organizations. We look forward to introducing our employees and their families, in addition to local residents, to the wetlands at this fun event,” said Pam Fair, vice president of environmental, safety & support services and chief environmental officer for SDG&E. The 2011 Family Nature Days are made possible by contributions from SDG&E. The San Diego Children and Nature Collaborative was founded in 2009 as a regional collaborative of organizations, individuals and companies that are passionate about the benefits of connecting children and nature. Knowing that children who learn and play in nature are happier, healthier and smarter, SDCaN works to preserve and expand access to nature experiences for all children in the San Diego region. The newly launched SD Children and Nature Collaborative website is: www.SDChildrenAndNature.org. The Collaborative brings the national Children & Nature Network (C&NN) movement to San Diego. It was inspired by local author Richard Louv after he first published the book Last Child in the Woods: Saving Our Children from Nature-Deficit Disorder in 2005.